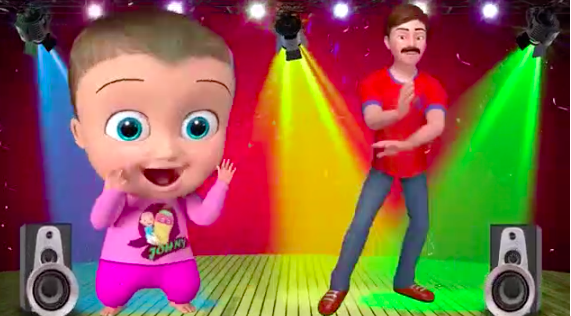 “Johnny Johnny Yes Papa” Meme WEIRDS OUT THE INTERNET! "Eating Sugar? No Papa". Well, it's stuck in my head forever. Look, as kids, we all lie. We all lie about eating sugar straight from the can, just like a normal kid does. We all dance with our dads while being literal giant babies, smiling at the camera, having eaten sugar and sang about lying about it. Look, we all do that. Or, as the baby in the insane “Yes Papa” meme would say… “no papa”. The video is blowing the internet’s mind, but according to Know Your Meme, it’s actually kind of widespread — and goes as far back as 2009, with so so many videos involving Johnny lying to his loving father, the man known as papa. Some are grotesque, some are amateurish, and some have Peter Griffin in them. None of the others have dance breaks, so this is still the best one. These are all upsetting and I hate them. People are even discovering more videos from this family’s lives and they are… disconcerting. What is this abusive nightmare house where no one is allowed to eat? What is happening here? Grandpa’s not allowed to eat, the grandma can’t have her ice cream, even the wife isn’t allowed to eat pizza. Who is this family of terrible mutants? Where do they go at night? Do they monitor each other’s eating habits? The company which originally posted the video took down @b6ner’s original Twitter upload. When you search for “Johnny Johnny Yes Papa”, the result is the full episode which somehow has 1.5 billion views. Personally, I would never let my kid watch this weird stuff. Mainly… because I want them to eat all the sugar in the house. Delicious. What do you think of the freaky video? Let us know in the comments or on Twitter at @WhatsTrending. Black Man Arrested For SITTING IN HIS OWN CAR? !